Asim Jofa Collection Entrepreneur Over View ; Asim Jofa a prominent Pakistani jewelry artist who ensues to be a sophisticated entrepreneur. Basically Asim Jofa is Pakistani jewelry artist but also found to be a tasteful promoter. Actually he is a certified diamond jewelry designer from the US. Asim has absorbed from across the Atlantic most contemporary trends in jewelry design and fabrication techniques. Carrying on the legacy of his forefathers he started with a jewelry line 12 years ago, establishing the highly exclusive, one of a kind diamond boutique ‘The Diamond Gallery. Asim soon became recognized by the name of Jofa, Asim soon became recognized by the name of Jofa, thus in the name of Asim Jofa was born a unique brand of diamond jewelry collection, adored by connoisseurs and fashion-conscious alike. He made the embroidery of pure and white gold more beautiful with the help of precious stones. He also got a name of premium jewelry expert for his designed products. He introduces a sizzling new blend of eastern design tradition and also some classy new colors trend. This trend was printed on plush fabrics by using remarkable fade and resistance printing techniques of art textile fabrication plant. His first spring collection was launched in March 2010 and was named as Asim Jofa Premium collection. Amazing color schemes and lavish printed designs all make up the new spring collection by Asim Jofa. He has been honored with by IAFA International Asian Fashion Awards as the Best Designer Brand in 2012. In the same year Asim bagged the Collection of the Year award held by the Pakistan Fashion Awards. 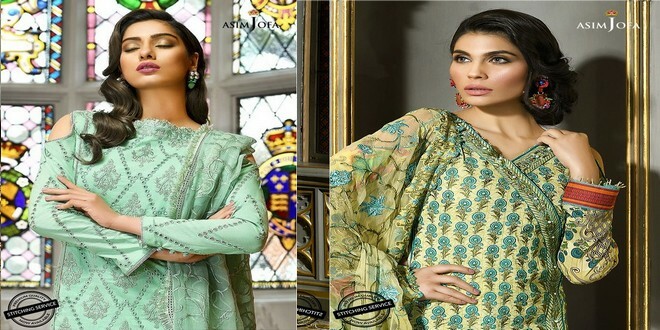 He continues to improve on perfection and in the future, Asim plans to create more buzz and dress Pakistani women fabulously, breaking fashion stereotypes along the way. Asim jofa is also working with party wear and the the big day of women. Yes I am talking about wedding dresses. The outfit and jewellery of Asim Jofa are simply awesome. The outfits of the designer include formal wear, semi-formal wear and western wear apart from these materials.